The term “direct box,” or DI, is short for direct injection box. The basic concept of a DI is rather simple — it’s a box designed to convert a high-Z (high impedance) signal to a low-Z (low impedance) signal. Think of a DI as a signal translator. Passive acoustic and electric guitars deliver high-Z signals. Active pickups deliver a low-Z signal. Pro audio equipment like mixing boards and mic preamps are low-Z devices. In order for high-Z and low-Z gear to make glorious lurve, they need a mediator. The signals need to match — and they will match at low-Z. Low-Z signals are much better equipped to send signals over long distances. I’m sure most guitarists have the ongoing discussion over buffers in the signal chain. A buffer converts a high-Z signal into a low-Z signal which is really helpful when you’re running through many pedals and cables. High-Z signals lose high end on long cable runs and may pick up noise. This is why you hear a difference in tone going from a 10ft to a 20ft guitar cable and also why you don’t see too many guitar cables longer than 20ft. A carefully placed buffer can help retain the full frequency spectrum of your sound on long cable runs. Not all buffers are created equal, though. Some can influence your tone in an unflattering way. Some of my favorite buffers are the Analog Man Buffer and the Effectrode Glass-A Triode Buffer. Just like all buffers are not created equal — the same can be said for DIs. People who are serious about DI tones will often spend a lot of money on the right one. It can be the difference between a cold, harsh, one-dimensional tone and a silky, harmonically-complex sound. Price can be a determining factor, but you need to consider tonal identity as well. One of the most common uses for a DI box in the studio or in live performance is with bass guitar. This is partly for tonal advantages. A bass with DI results in a more focused tone and the notes tend to be more defined and clear. It’s a pretty common practice to use both a mic and a DI on bass. I like to think of it as getting the tone from the miked amp and the punch from the DI. You can, of course, use either one independently. In the event you have to choose one, as far as modern techniques go, it’s more common to use a DI than a mic. That’s not a hard rule, however. I often record with just a mic on the bass cab for a vintage vibe. Prior to the late 60s and early 70s, all recordings were done with a mic on the bass cab. Motown made some of the first recordings that consistently feature DI on bass and guitar. For bass, there are two common ways of recording DI. 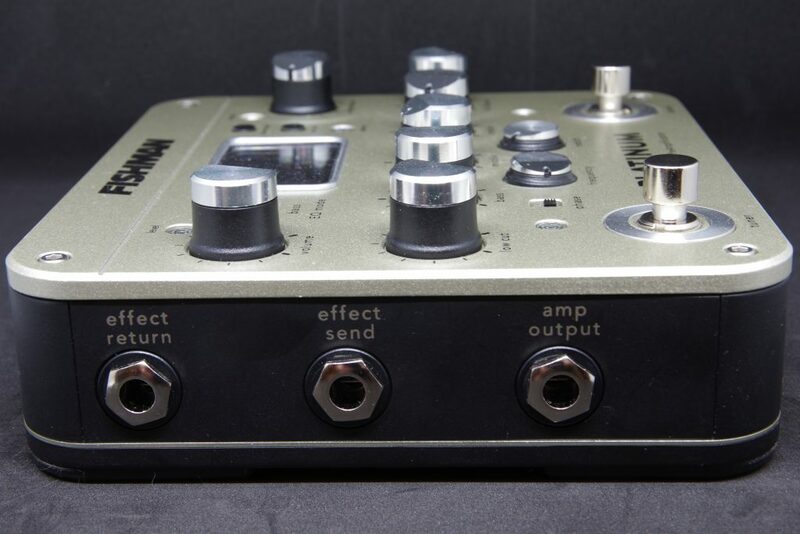 One is to use a passive direct box to convert the bass’s high-impedance signal to a low-impedance signal. From here, the low-impedance signal is sent into a preamp to amplify the volume. Some mic preamps have a 1/4” DI input option. 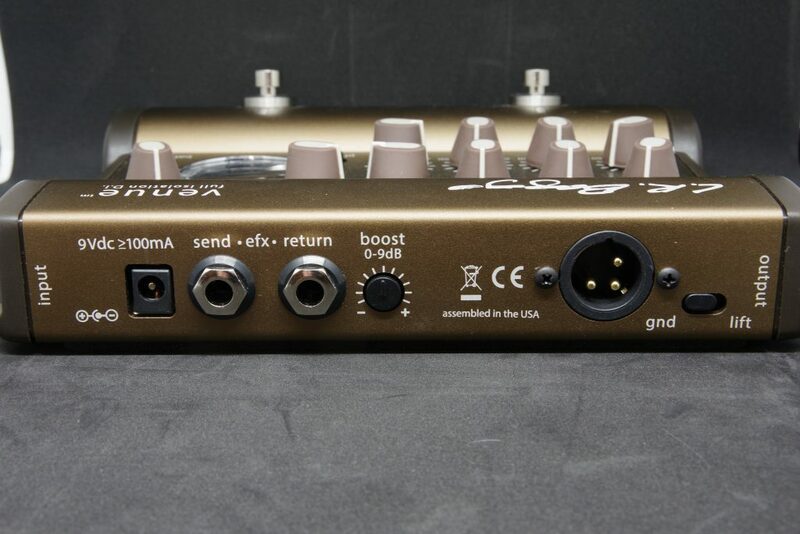 You can simply plug your bass or guitar straight into the mic pre and it converts the signal. Each DI and DI/mic pre option has its own flavor. On the DI front, A Designs REDDI DI box is a beloved tube DI for bass. On the mic pre end, I have always been a fan of Pendulum preamps for bass. The MDP-1 sounds fabulous on bass. These are both tube-based. There are also many great-sounding solid-state versions as well. In the studio, I mic the guitar and run a DI if I need to. 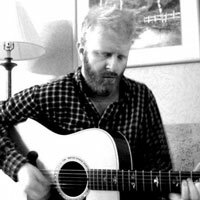 A DI sound is not my preferred tone for acoustic guitar on sessions but that doesn’t mean I never use it. It’s a specific tone and sometimes it’s the perfect one. You may wish to use the DI when you’re trying to isolate the guitar and vocal more. Or if you’re doing a live recording with several loud instruments, and bleed becomes an issue. Also, if you happen to like the sound of an acoustic guitar but the musician wants to apply guitar pedal effects to it — a DI is your friend. I’ve done sessions where I put a mic on the acoustic and run a DI through some guitar pedals for some unorthodox tones. Get creative with your options. We start to encounter a few more options in the acoustic DI area. We can still use a traditional DI box like the Radial Passive DI or a mic preamp such as an API 312. There are also DI/preamps specifically made for acoustic guitar. Let’s discuss a few and what makes them attractive. For acoustic guitars, I tend to get deeper into DI/preamps than with electric guitar. I feel that the acoustic guitar needs more help to sculpt its sound. It can be rather harsh on its own. I like to keep a few DIs around that have EQ on them. Yes, I know we can EQ later, but I really like to capture the sound as close to the desired result as possible when tracking. The better it sounds in the headphones, the better the performance will be from the artist. It also gives you a better perspective of the sonic space available. I don’t wait until later to carve it. Your mixes will turn out much better if you make some decisions early on in the process. For acoustic guitar, this means I usually decide if the guitar’s role is more like a rhythmic percussion instrument or if it plays a much bigger sonic and harmonic role. This is going to change the way I record and EQ it. I don’t wait until later to figure it out. I’d say that unless you’re using the DI as a backup for a performance, make it sound good. Need some EQ? Sure. Need a dab of compression? Go for it. Keeping things flat is overrated. It’s not uncommon for me to add tape, EQ or compression to a DI signal (depending on whether I’m reamping, of course). I can’t stress enough the importance of taking some time to actually study how EQ and your preamp work. It’s possible your guitar is going to sound different from room to room and that an EQ setting in one room may not translate to another. Always start from a place of flat EQ — meaning no boosts or cuts. You want to hear what you’re working from. I’ve seen too many guitarists plug in their DI and not look at the settings. This results in a very bright, shallow sound sent to the board. And then they wonder why it doesn’t sound good. Approach EQ as a tool. Use it to fix tonal problems. The guitar is a very midrange-rich instrument. Where you focus that midrange energy can be really important. Frequencies between 900 and 2 kHz can make the guitar sound like it’s coming out of a can. It’s not uncommon for me to make a small cut in these frequencies. It’s not a golden rule — every guitar is different. But in general, I’m going to look at this frequency region. Then there’s the low end — too much and you’re increasing your odds of feedback onstage. And we’re not talking about the good kind of feedback. Cutting out all the low end will make you sound anemic. There’s a bit of a dance around these low-end frequencies. 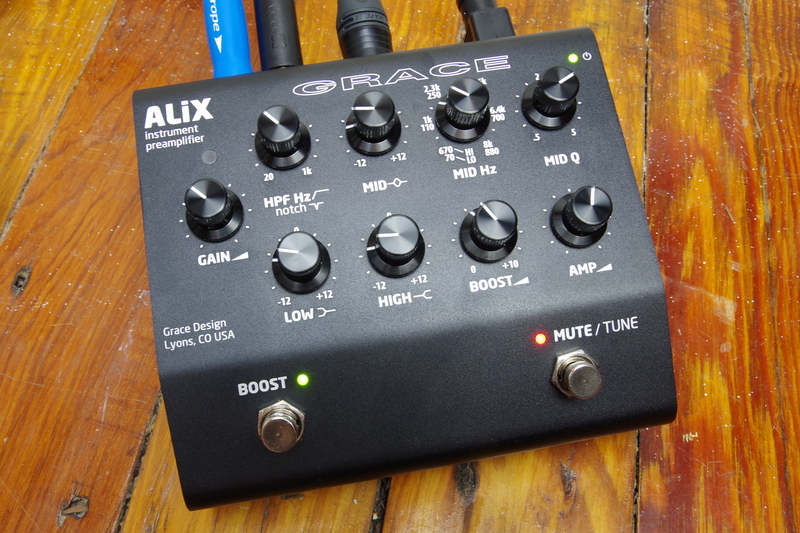 On the Grace Design ALiX, there’s a low-shelf filter and a bass frequency adjustment. We can cut frequencies below 60 Hz and still boost around 100 Hz. This gives us much more power in tweaking. We can keep the body of the guitar and cut out the resonance that can cause feedback. Boosting too much at 100 Hz or below can entice the feedback gods. Boosting between 100-250 Hz can add some meat to the bones of an acoustic guitar. Presence is a frequency range that’s often debated. You may see terms like “presence” or “brilliance”. They seem to sit in different places depending on the preamp you’re using. It’s worth consulting that paper booklet you immediately threw away upon opening the package. In my day, we called it a manual. Treble can sit between 2 and 12 kHz depending on your preamp. These frequencies can be a little harsh on guitar. If the guitar is sounding tinny or metallic, sweep around the treble frequencies until you find the spot and make a cut. It’s pretty common for me to cut a little in this frequency area. It can take away some of the hardness of an acoustic pickup. 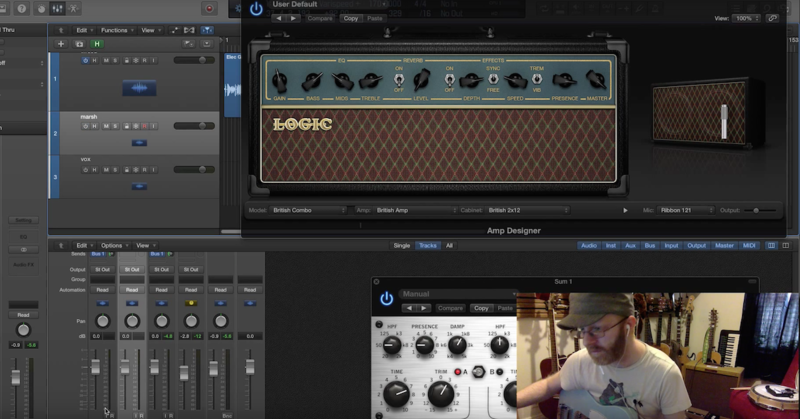 Record a short performance into a looper (don’t use the preamp) and then play that performance through the preamp. Now that the looper is playing back the performance, you’re able to experiment with adjustments. It’s easy to get distracted when you’re trying to tweak and play at the same time. Automating the task can free you up to hear things more clearly. Some DIs come with a notch filter — a tool that allows you to drastically cut a very narrow frequency. A notch filter lets you find the exact frequency that’s feeding back and cut it. The great thing about a notch filter is that because it’s so specific, you can cut a frequency out without killing your tone. It doesn’t affect as many surrounding frequencies. A trick I use is to boost the notch filter a bit. (Don’t go bananas here. When you find the nasty feedback frequency, it will go crazy. Just a mild boost to sweep around). By boosting or exaggerating you can really hear that troublesome frequency. Once you find the culprit, cut that frequency. This will allow you to get your stage monitors louder without issues. It takes some time to hear frequencies. As a rule of thumb, realize that most of the time you don’t need to make radical changes. If you find yourself boosting or cutting frequencies to an extreme, consider the rest of your signal chain. Make sure they’re not adding a lot of EQ at the board. I always ask the sound folks to wait to add EQ until I’ve finished getting my sound. Then they can sculpt more if need be. The phase switch on an acoustic guitar preamp can really change the sound of the pickup. If things just don’t seem to be working with gentle amounts of EQ, try flipping the phase switch. With acoustic guitars, this is sometimes like a flick of a light switch, and you’ll find yourself not needing radical EQ. It’s not a new trick to record acoustic guitars through electric guitar amps. Ani DiFranco has been doing this for years. Recording an acoustic guitar live in a room can be challenging with feedback. To deal with this in the studio, I use a DI box to split the signal. I can either record DI and reamp later or use the DI to run the signal into another room with the amp. Even when I run the DI out into another room to record an amp, I capture a dry DI in case later on I want to try another amp or blend two amps together. We may have sophisticated reverb and delay in the studio but we don’t always have them live. Having more control over your reverb can be quite important on some shows and live recordings. For instance, I’ve just performed on a few live recordings. One, for Mountain Stage, wasn’t going to be a post-production mix situation. We were printing live sound. So if I wanted reverb on the acoustic guitar, it needed to be there. It wouldn’t be added later. Some higher-end acoustic DIs such as the Fishman Platinum Pro and LR Baggs Venue have effects loops that allow you to tie in the effects post EQ or pre DI out — which is really helpful. DI electric guitar is most associated with funk and disco guitar. It was also the method used by Motown to track many classics. It’s a very specific sound that doesn’t translate to everything. The most obvious use is to record a perfectly clean sound. Think of the clean tones of Nile Rodgers, for example. Although it should be noted that sometimes there was a DI split with a Deluxe Reverb on some of Nile’s studio performances. All of the electric guitar sounds recorded for Motown were done through an in-house custom-made tube DI. The sound on “My Girl” was DI electric guitar. Here is a picture of the actual DI they used for bass and electric guitar. Yes, this is also the preamp that James Jamerson recorded though. Rumor has it that James used an Ampeg flip-top in the studio. But these rumors are false according to the people at Motown I’ve spoken with. Acme Audio created a Motown-style DI with NOS components a few years back. This could get you a little closer to that mojo. If you’re really looking to capture this sound, it’s important to consider what rigs they were using. For instance, “My Girl” was likely recorded by guitarist Robert White with a Gibson L-5 or ES-335 strung with flatwound guitar strings. Yes, I said flatwound strings. A key ingredient to getting some of those early 60s tones are flatwound strings. Make sure to break them in a little, too. Prince was notorious for plugging straight into the board after running through some Boss pedals. This is a major component of getting that era of funk sound. Which is considerably different from the Sly and the Family Stone and Funkadelic-era of funk, which was all straight amps. 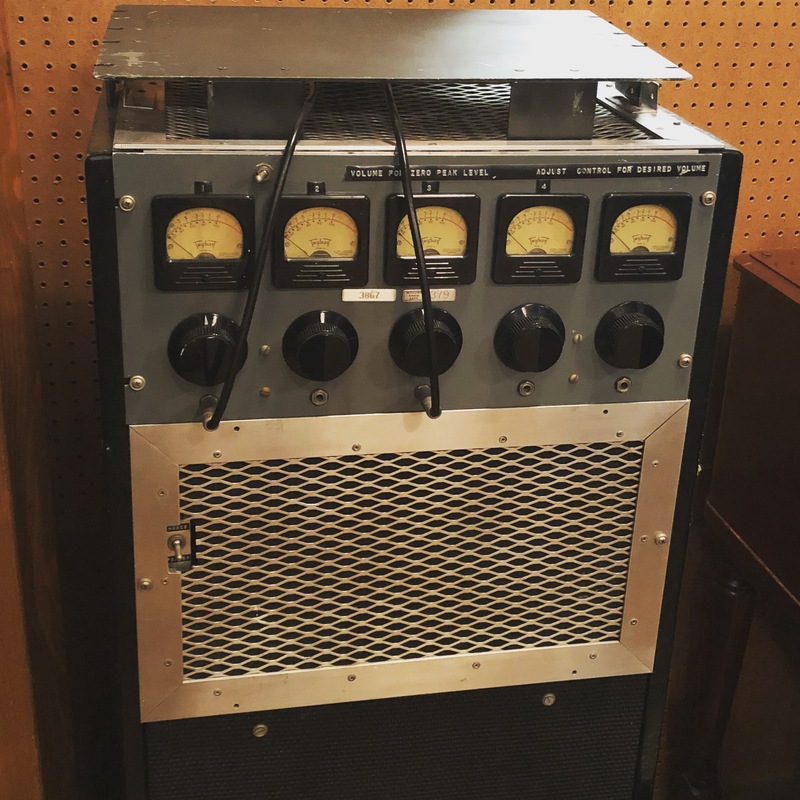 The Beatles famously plugged an electric guitar straight into the console to get the distortion you hear on “Revolution.” It’s the sound of a solid state preamp overloading. In order to recreate this, you would need a preamp with separate input and output gain. I’ve used the Hudson Broadcast pedal which is essentially the preamp from an old British broadcast console housed in a pedal. It nails a tone that is surprisingly hard to recreate otherwise. You can also use this method with other instruments. Try running a bass or keyboard into an overdriven preamp to add some gritty texture to the sound. 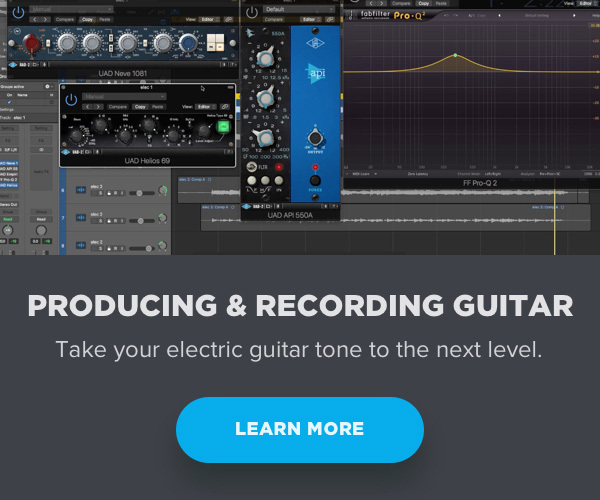 You don’t just have to use solid-state preamps either. Overdriven valve preamps are a favorite choice of many musicians and engineers. Even when your taste doesn’t lead to those clean disco sounds, you can use a DI as an insurance plan. All kinds of things can go wrong with pedalboards during a session. Crackles and clicks from pedal switches or even an entirely wrong sound can ruin a recording. To prevent this, some engineers will put a DI box before the pedalboard. This way if anything goes wrong, you have a clean DI track to reamp the guitar with later. One thing worth mentioning is to make sure that the thru output on your DI remains a high-Z signal. Some guitar pedals like Treble Boosters and germanium-based fuzz pedals (Fuzz Faces, Tone Benders, Maestro FZ1, etc.) don’t like seeing a low-Z signal. It can change the sound of those pedals and make them act strangely. Most notably they can become brighter and lose their dynamics. So if you’re going to grab the signal before the pedalboard, it’s best to be a ghost and not interrupt the existing signal chemistry. This is a big issue with me because I use a bunch of germanium-based pedals. My Analog Man Sun Face, Analog Man Beano Boost, and LIC ToneBender MKI and MKII don’t like seeing a low-Z signal. As you can tell, I’m very touchy about my signal flow. Some engineers may want to reamp through different amps for tonal variation. Some of the greatest guitar tones have been combinations of amps — for example, on Nirvana’s “Nevermind”. 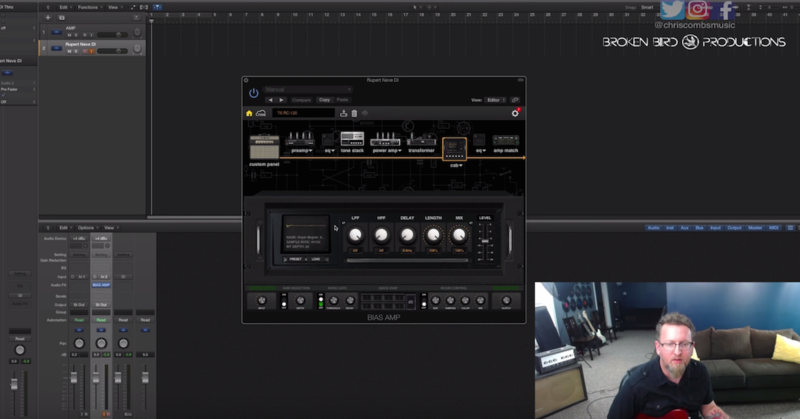 Running a DI can give you some flexibility with tonal shaping later for those of us who can’t set up multiple amps at the same time. We can record DI and send to more amps later. In this scenario, I use the Radial JCR reamp box. Remember what I said earlier about sound contributing to performances? Using a DI and a crappy amp sim won’t be reassuring to guitarists. For this reason, I still try to record one amp live (if this options exists) and a DI to add more amps later. 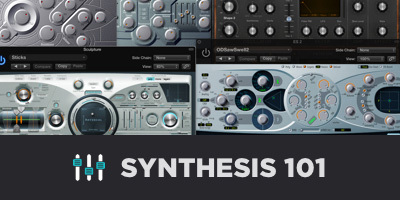 There are a few good amp sims on the market, though. Some of my faves come from Universal Audio. They feel closer to the natural sound and feel of a real amp. These can act as a temporary place marker when a live amp isn’t an option. Remember — just because you’re reamping doesn’t mean you won’t have phase issues. Listen carefully each time you reamp. When adding more than one microphone to a recording of the same source, you should check the phase of each microphone to ensure each one is in phase with the other. The best way to do this is to just flip the phase switch or button on one of the microphones and listen if there’s a change. Keep the phase as tight as you can. This should get you up and running with DIs. There are a lot of options out there, so be sure to explore. A DI will be an important addition to your audio tool closet. Now, let’s make some music!